Up to this point, all my in depth reviews have been on Southern Gospel albums, though I’ve occasionally mentioned other music, and even did a mini-review of a Brian Wilson album. That streak ends here, though this is likely to be an aberration instead of the start of a trend. My love for the Beach Boys is no secret on this blog, so if I were ever to make an exception to my SG only reviews, it should come as no surprise that it would be for the new album from the surviving Beach Boys, including Brian Wilson, on their 50th anniversary. On this album are Brian Wilson, Mike Love, Al Jardine, Bruce Johnston, and David Marks, though Marks is credited solely with guitar work and no vocals, with long time Beach Boys and Brian Wilson sideman Jeffrey Foskett providing falsetto vocals. Wilson produced the album, while Mike Love served as executive producer. Overall: 9.5 Maybe it’s just the fan in me. Maybe it’s because of the sheer vastness of the amount of time since The Beach Boys recorded a new studio album, much less one with an engaged and in control Brian Wilson. Whatever the reason, I really love this album. Is it perfect? No. “Bill and Sue” is pretty much a throwaway, filler track. “Shelter” is OK, but not great. I’d have liked to have heard more from Johnston (who is almost invisible outside of the harmony stack on the album), Marks, and Jardine. The album from the title track to “Strange World” is a bit of a mix of mostly good songs, with a few really good ones mixed in. However, the final three tracks on this album rate with some of the best music The Beach Boys have ever put to record. While they may not have a sure-fire radio hit on the album (though I think there are some good contenders, especially with what you hear on secular radio today! ), the album already debuted at #3 on the Billboard charts, and is far above what any realistic fan of the group should have expected from them. 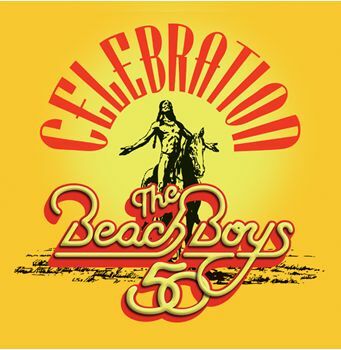 The lead vocals are all well done, the instrumental tracks are great, the vocal harmonies are still without par, and it’s a great way for The Beach Boys to celebrate their 50th anniversary and ride off into the Southern California sunset. If you like harmony, and like pop music, do yourself a favor and pick up a piece of history in this monumental album. You’ll be glad you did. Most of you who are long time readers know that I am also a big fan of The Beach Boys. A couple of tidbits have come out in the past couple of days relating to the group and their current 50th anniversary reunion celebration. 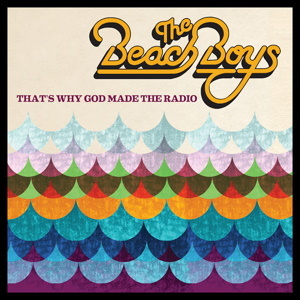 First, the new album, reportedly titled That’s Why God Made The Radio, is due to be released June 5. Second, the group has released a promo video previewing the first single from the album, the title song. This is the first single from the group as a whole since 1996, and the first of new material in 20 years. Check it out below, I’m (im)patiently awaiting the release of the album! The past couple of years have seen several reunions we never thought were possible. In the Southern Gospel world, we’ve seen the 1980s Gold City supergroup reunite, with another reunion coming up in a few weeks, as well as the Downings, the Hinsons, and the Michael English era Singing Americans. In the secular world, another reunion was just announced that was even more unlikely. The Beach Boys are reuniting for their 50th anniversary next year. Am I the only one starting to see similarities to Gold City’s Somebody’s Coming? Tracks have been recorded. Tracks have been re-recorded. Songs have been cut (“I Stand Redeemed”). Songs (yet unknown) have been/will be added. Hype has built up (the report of M. English saying it would be better than the last GVB album, the leak of the aforementioned tracks). I really hope Somebody’s Coming doesn’t become Southern Gospel’s version of Smile. Those of you who have followed my blog for a while know that in addition to Southern Gospel, I am a huge fan of Brian Wilson and the Beach Boys. According to this news story at FoxNews.com, Brian Wilson and Al Jardine are reuniting with the current Beach Boys (Mike Love and Bruce Johnston) for a 50th Anniversary tour next year. I can only hope that there is a DVD and/or CD made of this. It’s good to see them back together again, even after all the bad blood and lawsuits. Those of you that have read my blog from the beginning know that I am a big time Beach Boys fan. The founder and musical force behind the group, Brian Wilson, who now performs and records as a soloist (kinda), is releasing a new album of original material on September 2, titled That Lucky Old Sun. Amazon is taking pre-orders, but the cool thing is the embedded video of one of the songs, “Forever My Surfer Girl”, that you can view. I’m guessing this was recorded in one of the live shows of the work that Wilson did earlier. Check it out, it’s amazing that after everything Brian has been through he can still create music like this at age 65.